As of 1 May 2015, ÅF is acquiring all the shares in Markitekten AB. The Uppsala-based company provides consulting services within the construction industry, chiefly within roads, land, water/wastewater treatment and landscapes linked to planning and project planning of new housing and development areas. The acquisition means that ÅF will establish a local bridgehead within land-use planning in Uppsala, one of Sweden’s most expansive housing regions. “Markitekten’s solid reputation and long-standing customer relationships are something that we want to build on to further develop ÅF’s offering for primarily housing developers, construction companies and municipalities,” explains Anders Dahlin, ÅF’s Regional Director of Infrastructure Planning. Customers include property developers and contractors such as JM, NCC, Peab and SH Bygg, as well as municipal property companies and public administrations such as Uppsalahem, Uppsala, Sigtuna, Knivsta and Norrtälje municipalities. 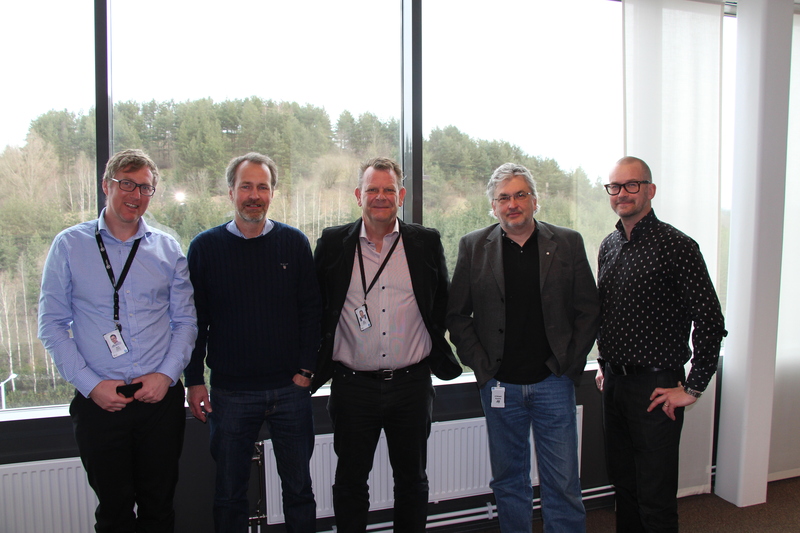 The merger with ÅF will provide Markitekten with better opportunities to support existing customers, both geographically and within associated fields of technology. “We can see clear synergies with ÅF’s existing operations and we will be able to take on larger full-service projects, while gaining access to a broader customer base,” concludes Olof Brundin, CEO of Markitekten, who after the summer will take on the role of Head of Section at ÅF in Uppsala. Markitekten will be integrated into the Infrastructure Division, which is now taking a further step towards becoming one of Scandinavia’s leading companies within the area. For further information, contact Patrik Stridh. On the picture from left: Martin Jonsson, Regional Director, Olof Brundin, CEO of Markitekten, Mats Påhlsson, Divisional President, Anders Dahlin, Regional Director, and Patrik Stridh, Business Developer.